Most Orders over $99 are eligible for FREE SHIPPING - Free shipping applies to ground shipping only. Products eligible for free shipping will have a free shipping option at checkout. Please note that we ship all items "no signature required" at delivery (with the exception of freight deliveries). If you would like a signature required at delivery, please request that in the notes section of the order (an additional charge of $5 will be added to the order for this service). 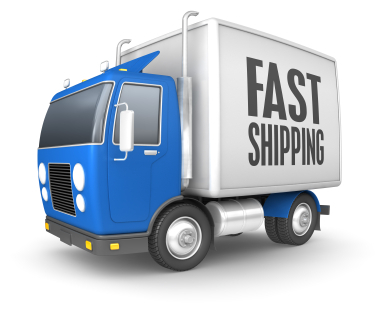 Oversized and/or Heavy orders that require freight shipping (Tables, exercise equipment, weights, weight bars etc) are typically not eligible for free shipping. Fixed shipping charges are for standard delivery. • Delivery will be via truck. • Liftgate provided if necessary to take freight down off truck. • Freight will be delivered curbside. Customer is responsible for bringing the item inside the location. • Freight will be delivered inside through the front door on the ground floor only. • Does not include delivery into a specific room. • Does not include uncrating or removal of debris. • Freight will be delivered inside on the ground floor only to room of choice. • Delivery will include uncrating and removal of debris.